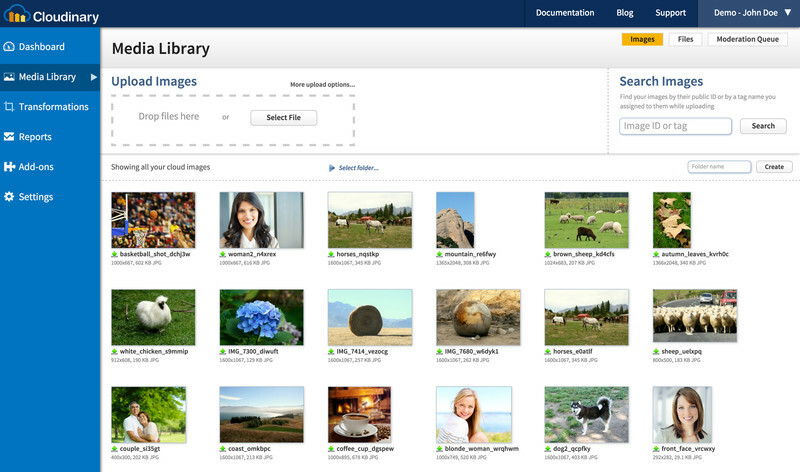 Cloudinary, an industrial-strength back-end image management system for Web and mobile development, has added video functionality to its roster of services. The new Cloudinary For Video is designed to provide developers with an easy and affordable way to upload, manipulate and optimize all of their site’s video content. Founded in 2011, Cloudinary says it currently manages billions of images for some 50,000 developers worldwide, offering cloud-based software-as-a-service for a range of companies from large enterprises to small startups. Cloudinary’s video service provides technical support for all aspects of handling videos online, allowing developers to focus on their product rather than having to use resources to build and support in-house video operations. It does this by providing developers with a suite of tools featuring a scalable cloud-based operation, video management and automatic video transcoding and manipulation — all of which promise a positive end-user experience. You can upload videos using Cloudinary’s APIs from your back-end application or directly from a browser or mobile application and manage all videos with Cloudinary within your app or via an interactive Web interface. The service lets you automatically generate HTML5 and other mobile videos for viewing on browsers and mobile devices and manipulate videos on-the-fly — in real-time — to fit graphic design and production requirements. In addition, you can brand your videos, embed ads and captions, generate thumbnails and convert videos to animated GIFs. When you’re done, you can optimize your videos for streaming from a global content delivery network (CDN).